Rev. Samuel Rose Ely was born in West Springfield, Massachusetts on December 29, 1903, one of nine children born to Rev. Elihu Ely of West Springfield, Ma, and Grace Rose of Providence, R.I. His grandfather, Capt. Levi Ely was killed in the Battle of Mohawk during the Revolutionary War. Rev. Ely was a graduate of Williams College, Class of 1830. He attended Princeton Theological Seminary from 1832-34. In October of 1934 he married Mary Van Gelder of New York City. Mary was the daughter of Abraham Van Gelder, “one of the old time merchants of New York City”. Two months after his marriage, Rev. 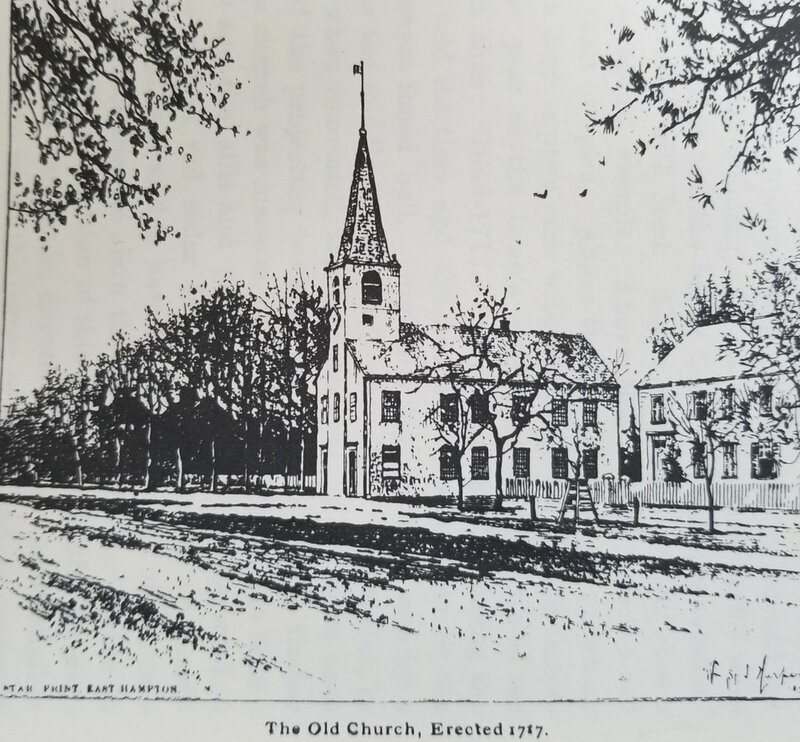 Ely was ordained in and installed on December 4, 1834 in the the Mahopac Falls Presbyterian Church of Putnam County, NY, in the Bedford Presbytery. Rev. Ely and his wife had there first child here in 1835, a son William. The Mahopac Falls church during Rev. Ely’s tenure was described as "in a state of harmony and prosperity, enjoying the labors of a man in whom they are happily united." Rev. Ely formed their first Sunday School and enrolled 70 children. Rev. Ely resigned in October 1836, to the regrets of his congregation. Rev. Ely came to East Hampton as a supply preacher and was subsequently installed in 1836. Possibly he heard about the position in East Hampton from his wife’s family. His wife Mary, had a sister Eliza Van Gelder who was married to a prominent Judge on the East End of Long Island, Abraham Topping Rose of Bridgehampton, NY. Rev. Ely and his wife welcomed their second son, Samuel R. Ely, Jr. born in in East Hampton. Rev. Ely and his family would remain here for a period of ten years until 1845. He presided over a reported 420 member congregation. Main Street, East Hampton at the time, was described as wide and beautiful and full of “intolerable flocks of geese that have free rein to ramble as they please”. 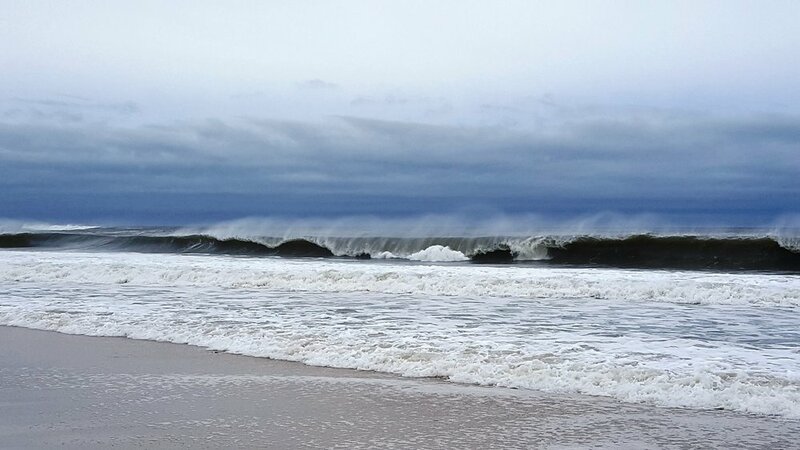 His position in East Hampton concluded with a decline in his health. His physician recommend a change of climate and discontinuing his profession. Rev. Ely’s diagnosis is unknown. Possibly, he had heart trouble. His obituary mentioned the “return” of dropsy two years before his death, an old fashion term meaning fluid retention due to heart failure. He preached his final sermon in East Hampton on October 25, 1845. S. H. Miller writing in a remembrance of East Hampton, grew up with Rev. Ely’s sons, and said Rev. Ely’s “abounding sympathy caused him to be much beloved”. Rev. Ely’s term in East Hampton was described as “highly satisfactory”, the newspapers reporting he left “followed by the prayers and the well wishes of a grateful and affectionate people”. Rev. Ely was present for several historic events in the church. In August 27, 1843, Rev. Ely occupied the pulpit with Rev.Lyman Beecher and his two sons, Rev. Dr. William Beecher and Rev. Dr. Edward Beecher. Rev Beecher Sr, who preached at East Hampton from 1798 to 1811 returned with his sons for a visit to their old homestead. The church was packed to capacity. The Brooklyn Daily Mail reporting the townspeople were eager to hear the “eloquence of these eminent divines.” Within days of Rev. Ely’s farewell service, on November 5, 1845, he participated in the ordination and installation of the next pastor of the First Presbyterian Church of East Hampton, Rev. Alexander B. Bullions. Rev. Ely returned to East Hampton, in September 1861 and participated in the farewell service of Rev. Stephen Mershon, reading scripture and giving an “impressive” prayer. The new 1861 church was nearing completion. The days of the 1717 church were coming to an end, Mershon’s service was held in the historic 1717 church, where Rev. Ely had also preached. Around 1850, Ely relocated briefly to Bedford-Stuyvesant, NY where he served as a supply pastor in a church of which little is known. He then retired to the countryside of Roslyn, Nassau County, NY. Roslyn’s Presbyterian Church was foundering at the time, with no stated Pastor, relying on occasion supply pastors to hold services. Rev. Ely attended the church and volunteered to preach in the absence of a hired minister. He preached in a voluntary unpaid position for two years. In 1856 in appreciation for this gratis service, the congregation presented him with a silver pitcher and goblet. He regained his health, and was the stated supply pastor at Roslyn for 14 years until his final retirement in 1870. In 1865, Ely obtained his Doctor of Divinity (D.D.) degree from Columbia University. For several years, c. 1855, Rev. Ely served as a Trustee of the Raymond Collegiate Institute in Carmel, NY. His brother Addison Ely was a physician in Carmel, NY. Rev. Ely and his wife Mary had two children. Their first born, William S. Ely (1835-1862) graduated from Columbia Law School in 1860, he was involved in politics and served as attorney for the Roslyn Cemetery. He died two years after obtaining his law degree, at the age of 27. Their second son, namesake Samuel R. Ely Jr (1837-1913), held various positions, one being the Storekeeper for the U.S. Customs Service at the Port of New York. Neither son is reported to have had children. Samuel Ely Sr. died in Roslyn, NY on May 11, 1873. His obituary stated: “he was an optimist, seeing a wise and benevolent design in all the events of Providence; his life was cheerful, as well as kindly and devout, and he closed it peacefully in the 70th year of his age. He left a large circle of friends among some of the most distinguished families of the state.” He is buried in Roslyn Cemetery. Rev. Ely’s son Samuel Ely Jr. became the sole support of his mother Mary, until her death in 1890.